Oops by the way, a friend of mine Genebei of Her and History gave this award to me ahead of time but unfortunately she was not able to inform me. That is why I need to grab this from my other friend's site...lol! 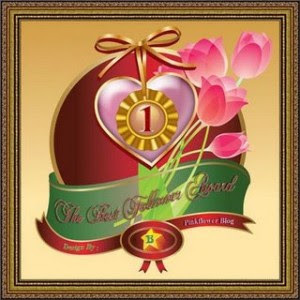 Oh well, I would gladly give this award also to my very avid follower, a friend and a sister in Christ too- Melody of Gift from God. LOL What a beautiful award. Have a great weekend! hey, should i grab this award from you? I am an avid follower of your blog din eh...hehehe..just let me know..
hi, sis...napost ko na po..i'm proud to be your avid follower. ..God bless! !